Leicester City manager Nigel Pearson expects striker Chris Wood to recover from a knee injury in time for the next Championship match against Charlton Athletic on Tuesday, 19 February. Wood missed Saturday's 2-1 loss to Peterborough and Pearson was reluctant to give details about the injury. But he told BBC Radio Leicester: "He has a knock on his knee but it is not something we are too concerned about." Wood will miss Tuesday's fourth-round FA Cup replay with Huddersfield Town. 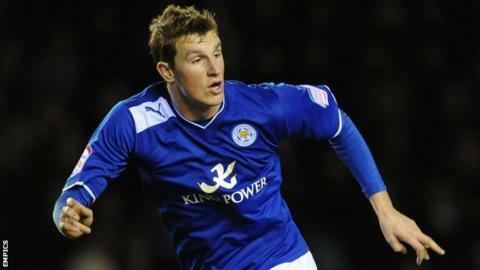 And he would also be unavailable should the Foxes progress into the fifth round, where they would face Wigan Athletic. Pearson added: "Hopefully he will be available for the next league game." Wood, 21, has scored seven goals in his six games for the Foxes.